The key feature of XF tractors is the performance delivered by the FARMotion engines, which peaks at 113 hp/83 kW (on the Hürlimann XF 115 model). These engines are capable of transferring all of their power to an ECOspeed transmission, which in turn allows the tractors to achieve their maximum road speed at economical engine speeds. Thanks to their low height, compact dimensions and unparalleled steering angle, the models are ideal for use in various cultivated areas, such as those typically encountered on fruit plantations and in vineyards. 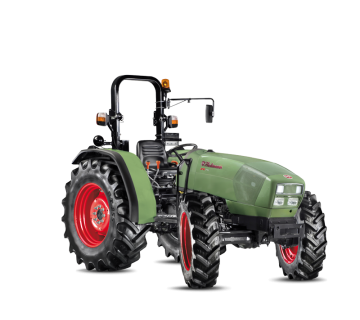 The continuous lines without edges on the bonnet, driver's cab and mudguards lend Hürlimann XF tractors their characteristic appearance, while at the same time guaranteeing controlled passage between rows of plants without damaging low-hanging branches. The design is also apparent inside the tractor and in the use of materials which improve ease-of-use. Simple and intelligent technology guarantees performance and consumption figures in keeping with requirements and also complies with the Stage 3B standard through innovative solutions in FARMotion engines, such as the external electronic exhaust gas recirculation system (EGR), the DOC catalytic converter and the high-pressure common rail injection system (2000 bar). Thanks to their impressive and dynamic characteristics, these engines are perfect for demanding tasks in fruit farms, tree nurseries and fields as well as for municipal services. 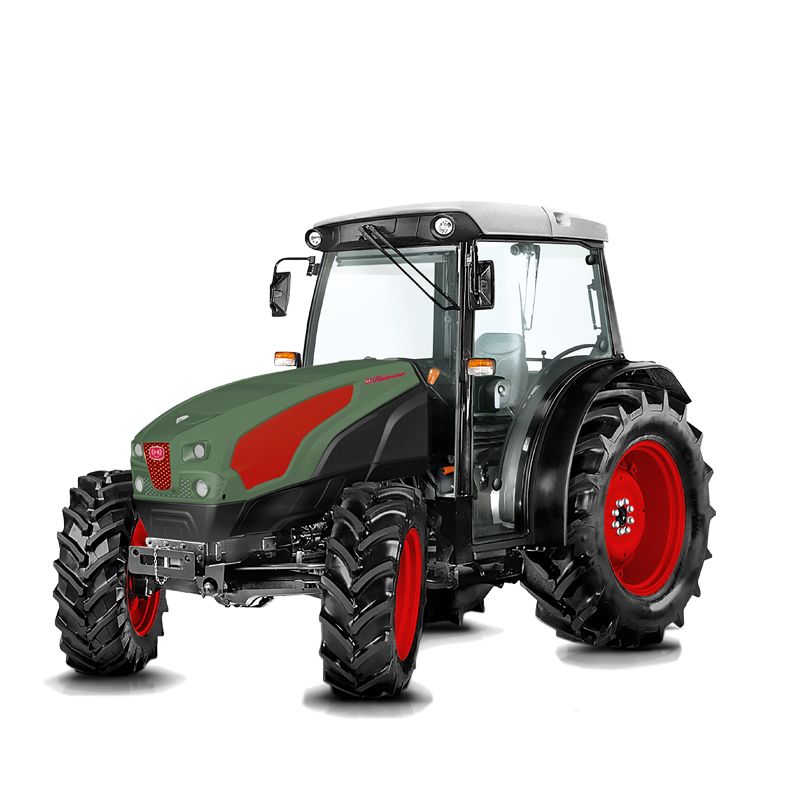 The tractors are pleasant to drive, since it is possible to save engine speeds for the each of various items of machinery, which the electronic system then maintains as a constant with changing loads. This in turn enables greater productivity. An efficient five-gear transmission with soft and precise gear shifts, intelligent ratios and an ECO function that allows the vehicle's maximum ground speed to be reached at a reduced engine speed so as to save fuel. The Hürlimann XF is available with a 30+15 mechanical manual transmission with three ranges, including a creeper gear. In addition to this, the three-stage PowerShift transmission with a total of 45 forwards gears and 45 reverse years is available. The LS version employs a mechanical reverse shuttle, while the GS version uses a hydraulic reverse shuttle (PowerShuttle), Stop&Go function and ComfortClutch. The PTO output shaft is available with a total of three engine speeds (540/540ECO/1000) and ground speed PTO. The AUTO 4WD function for high train capacity and the four-wheel braking system with oil-bath disc brakes ensure maximum safety. 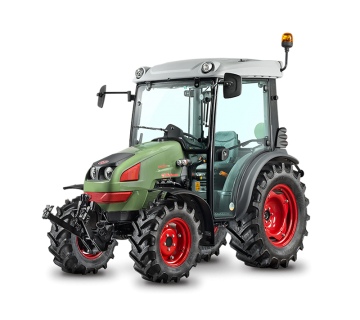 For special agricultural operations, such as fruit plantations, vineyards or tree nurseries, the tractors in the Hürlimann XF range provide a hydraulic system with single pump (or alternatively tandem pump) with delivery capacity of up to 64 l/min. Users are also sure to find the optimum set-up from the large number of distributors on offer. Up to three rear distributors with flow regulator and two electro-hydraulic distributors, as well as one duplicated distributor with flow regulation are available as a further option. The rear power lift can lift the necessary attachments with a maximum lift capacity of 2,800 kg. A spacious interior, which offers the driver plenty of space and perfect all-round visibility. The control elements are ergonomic and arranged logically around the driver. They are also colour coded for ease of identification. Adjustable nozzles help maintain an optimum temperature inside the cab. Activated carbon filters are available for the cab to keep the driver safe when working with crop protection agents. A short wheelbase and ideal steering angle for effective work in areas where space is at a premium. Adjustable driver's seat for the perfect position. Tyre sizes of 28'' and 24'' are possible.